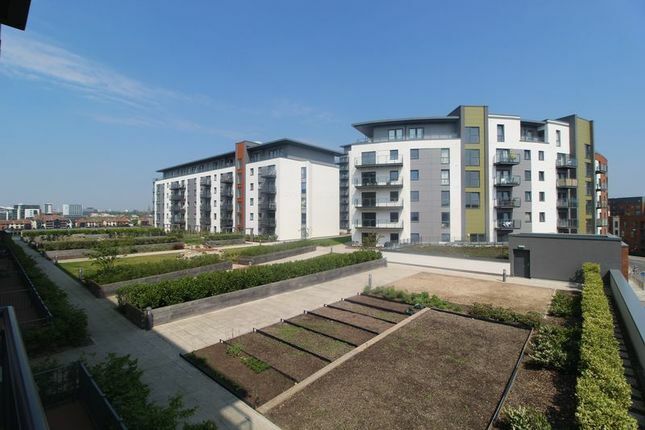 No forward chain - Charles Carr are proud to present this 5th floor two bedroom luxury apartment situated in the Centenary Quay complex in Woolston. This property comprises of Open Planned Lounge/Kitchen area, 2 Balconies with water views, Master Bedroom with En-Suite, Second Bedroom and Family Bathroom. The property also has access to a lift. High interest is expected so viewings are highly recommended to appreciate everything the property has to offer. 5th floor flat with access to lift, security telephone intercom system. Access to communal garden area strictly for residents. Wall mounted telephone intercom entry system, smoke detector and access to all rooms. Lounge/Diner Open Planned. T.v point and telephone point. Access to balcony with views over the River Itchen. Kitchen Modern fitted kitchen with built in appliances. Bedroom 1 Access to en-suite. Telephone point. Access to second balcony overlooking communal gardens, fitted wardrobe. Bedroom 2 window to the side aspect.